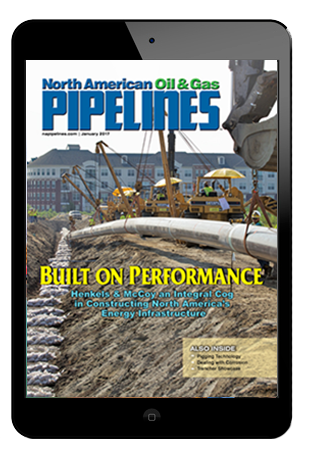 Editor's Message: Are Pipeliners Looking at a New Record Year in 2018? Editor’s Message: A New Record Year in 2018? The pipeline construction season is underway, and by all accounts it’s a real gusher. Despite some major projects facing roadblocks — *cough* Keystone XL, Trans Mountain *cough* — this year could go down as the biggest year on record for the industry. According to 2018 Pipe Line Contractors Association president Rob Riess, this year could exceed 13 million manhours, based on statistics by the United Association (the pipe welders union). The previous highs were in 1966, 2008 and 2017, which all topped 12 million manhours. Whatever else anyone wants to say about President Donald Trump, it seems his administration has helped spark a new boom for the oil and gas pipeline industry in the United States. While nobody seems to know when or if TransCanada’s Keystone XL pipeline will be completed, there are a number of projects in the U.S. Northeast to add takeaway capacity to the Marcellus and Utica shale plays, as well as in Texas and the Midcontinent to address bottleneck problems in the voluminous Permian Basin and STACK play. 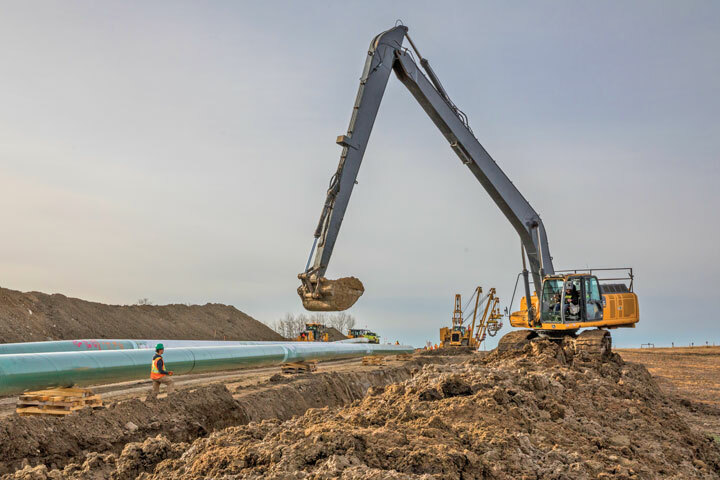 In Canada, the regulatory process appears to have gotten murky, and project delays and cancellations are having a significant impact on the pipeline industry up North. The main culprit seems to be infighting between the provincial governments of pro-pipeline Alberta and anti-pipeline British Columbia. At the center of all the drama is Kinder Morgan’s Trans Mountain expansion project. On May 16, the Toronto Star reported that the Alberta government passed a bill to restrict the flow of oil and gas to British Columbia in response to the B.C. government’s efforts to stall the $7.4 billion (CAD) Trans Mountain project. This is after Kinder Morgan Canada announced on April 8 that it was suspending all non-essential activities and related spending on the project, citing B.C.’s continued opposition. Although regulatory uncertainty continues to hamper the pipeline industry, and third-party opposition remains vocal, the biggest challenge to the industry is people. Attracting and retaining younger employees to carry the pipeline industry forward is a top priority. For the pipeline industry to top all previous years, companies need a fresh crop of employees to fill the ranks. Attracting new recruits to form the next generation of pipeliners will require industry veterans to tap into what makes younger people tick. Self-promotion is key. The pay and job benefits of pipeline jobs are certainly attractive, but so is corporate responsibility, community involvement and technological savviness. If the pipeline industry is going to continue to boom, it needs shore up its most important asset — people — to avoid a bust.